The Pro Range brochure includes an overview of the entire Heat Mat electric under floor heating product range including under tile heating mats, under laminate systems, under floor heating cables, a variety of thermostats and accessories such as mirror demisters or under floor insulation boards to minimise downward heat loss and improve energy efficiency. 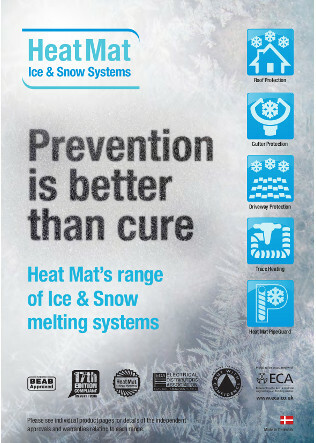 Heat Mat’s products are the best quality on the market and details of the approvals or warranties provided with each system can be found in this brochure. All systems are manufactured in the UK or Denmark; they are Part L and 17th Edition compliant. Details of their market-leading ice and snow melting solutions for driveway, roof and gutter heating and trace heating are also included. 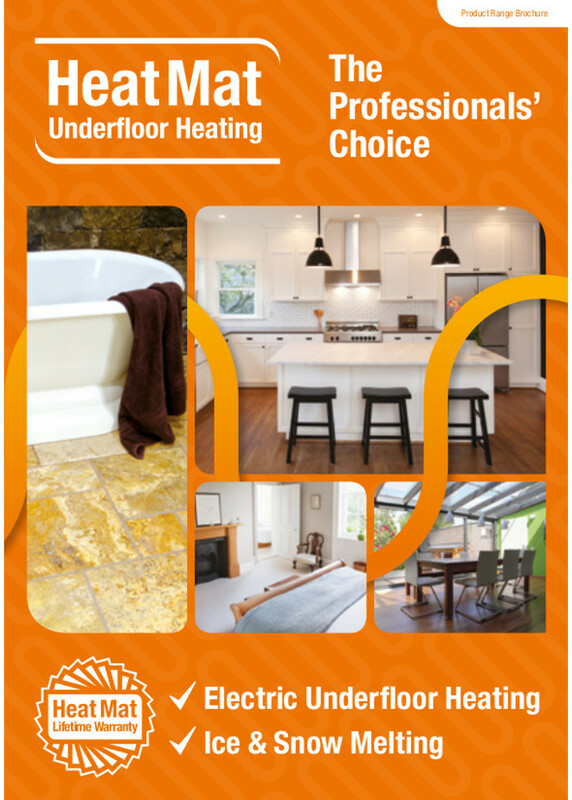 Then brochure provides further information on under floor heating benefits, environmental considerations and FAQ’s. 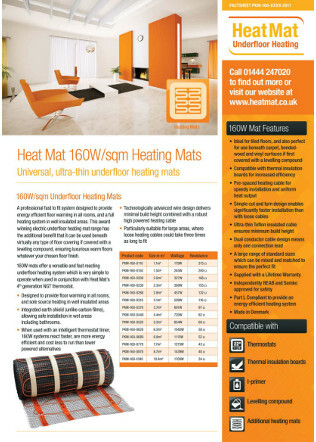 I agree to let Heat Mat Limited contact me from time to time in regards to the Pro Range brochure and related products.